What’s your favorite garden ornament? The skillful use of ornament in the garden can have a big impact. Ornaments provide focal points, reinforce the style of the garden, make us pause and think. They offer a delightful way to introduce personality into the garden. One of my favorite gardens uses flying pig planters and sculpture to inject a playful quality. This gardener’s choice is grounded in a favorite childhood memory, which opens the garden to the personal past. My mascot is a flying pig, so I may be biased! The photos above highlight a few of my all-time favorite garden ornaments. Monumental terra cotta pots at Villa di Castello in Italy provide homes for delicate citrus trees. Although each container is slightly different in age, size, and design, a shared warm color creates a unified whole. I left this garden wishing that I could take a dozen of these home with me. Villa di Castello was designed in 1538 by Niccolò Tribolo for Cosimo I de Medici, Grand Duke of Tuscany. This wonderful Italian renaissance garden includes fountains, statuary, a grotto, and a bosque. There is nothing as “classical” as a white marble urn. 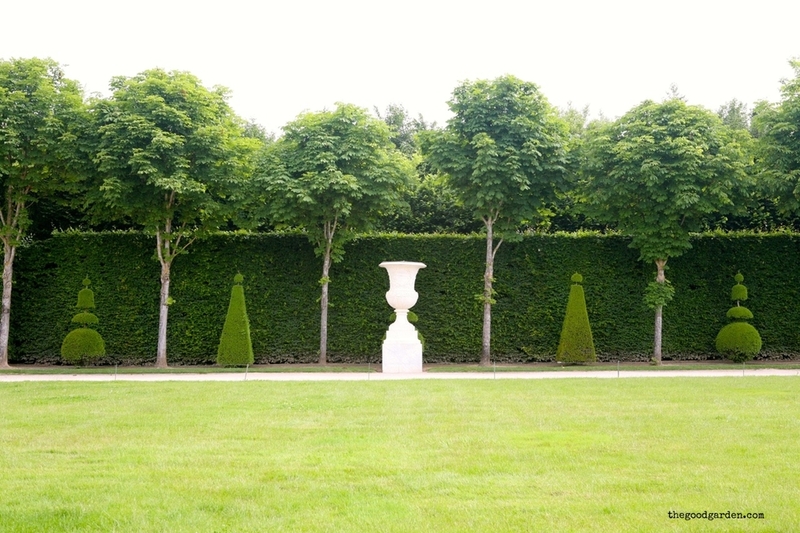 This one pops amidst repeating topiary pyramids and clipped elms. A series of these sculptures frames a 1,100 foot grass pathway called The Royal Walk at the Palace of Versailles. 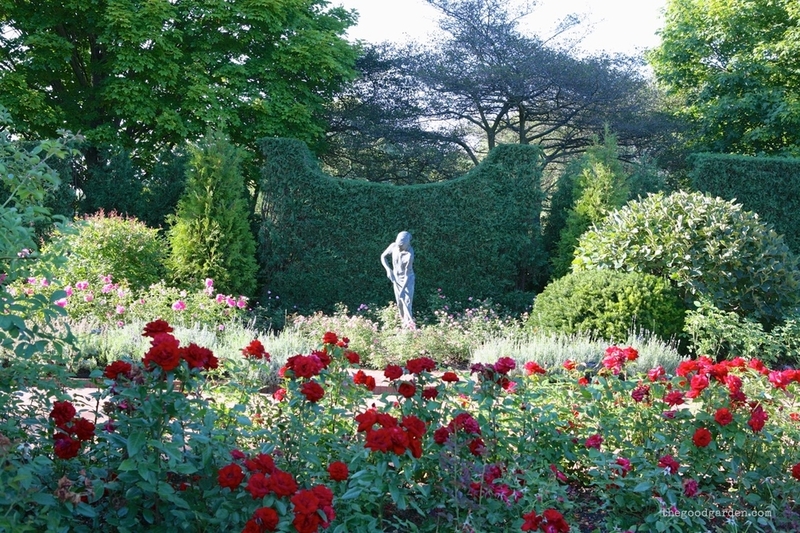 Andre Le Notre began to design this French garden in 1662. Students from the Academie de France in Rome created the sculptures in the 1600’s. A hand-made terra cotta bird bath, the perfect arts and crafts ornament, sits at the top of the mound called “the wedding place” at Filoli in Woodside, California. 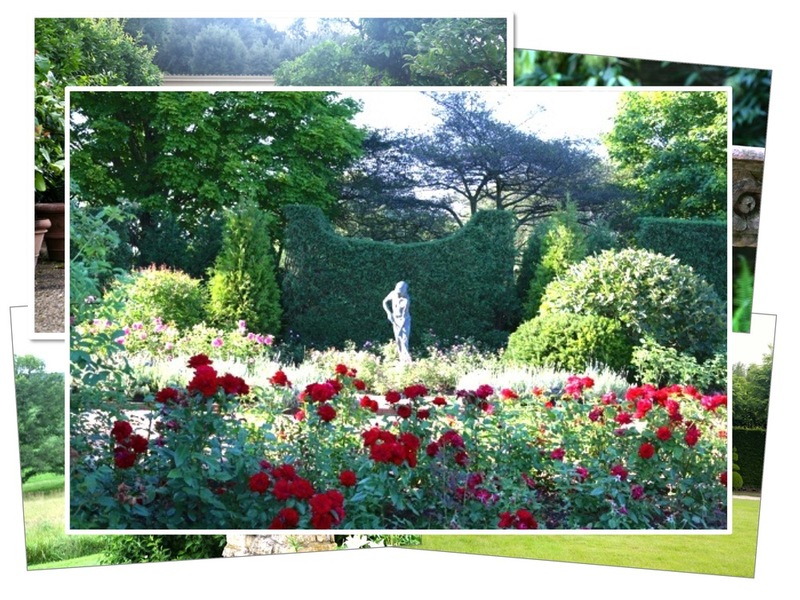 It is known for its picture perfect views of the Walled Garden. Filoli was built in 1915 by San Franciscan’s William Bourn and Agnes Moody Bourn in response to the great earthquake and fire of 1906. Landscape architect Bruce Porter planned the garden, and horticulturalist Bella Worn chose the plants. 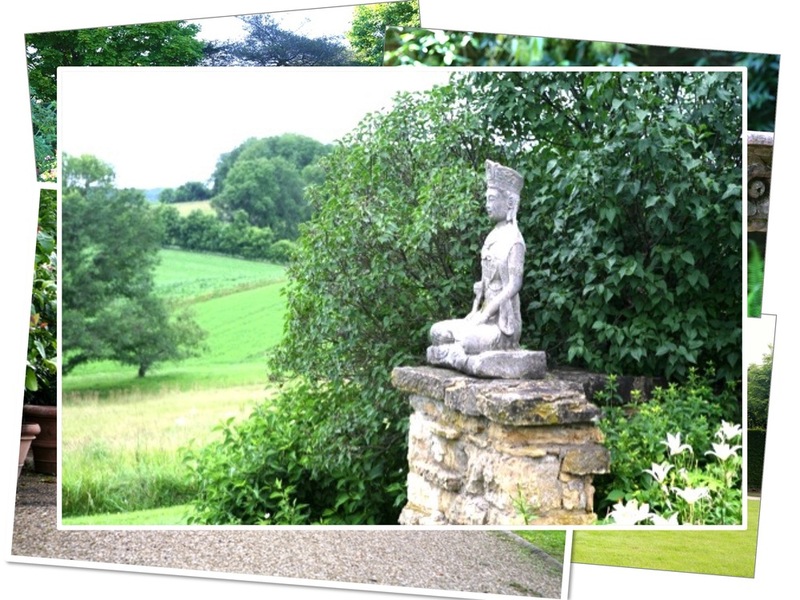 A peaceful Buddha overlooks a meadow at Frank Lloyd Wright’s home and studio Taliesin in Spring Green, Wisconsin. Wright was deeply affected by his time in Japan, from 1917-1922. So it is no surprise to see a number of Japanese influences in his garden. They lend an exotic touch to a landscape anchored in its beautiful Wisconsin setting. While each example is quite different, I appreciate the way that each is integrated into the composition of the landscape and supports the garden’s story. These images are available as notecards printed in Wisconsin on thick white paper.